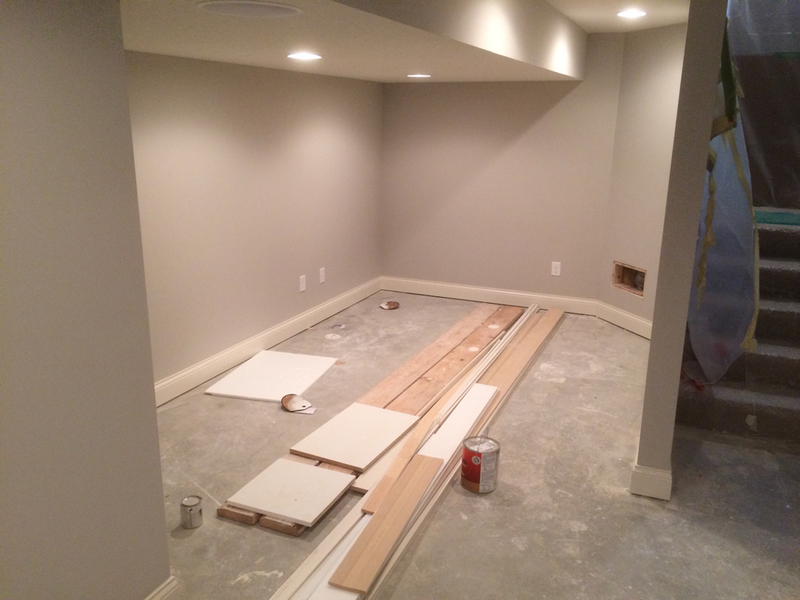 Ready for carpet, lights are in! 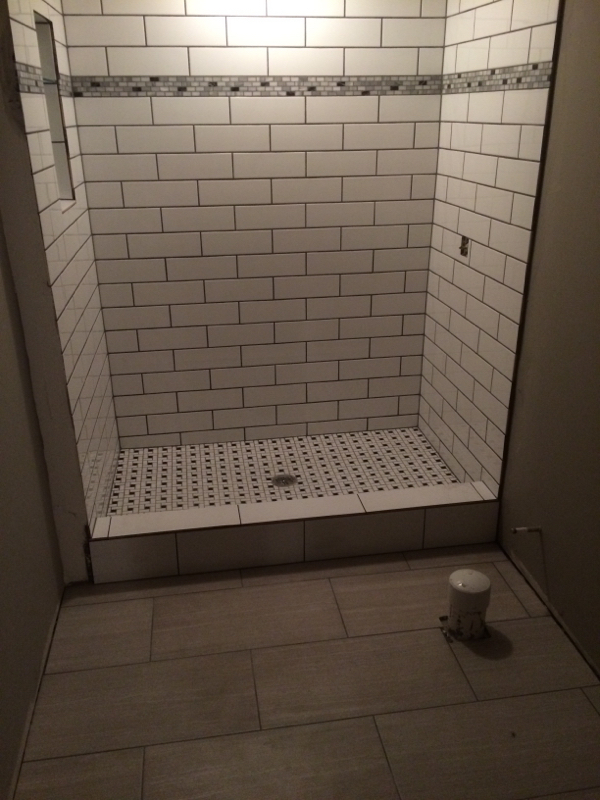 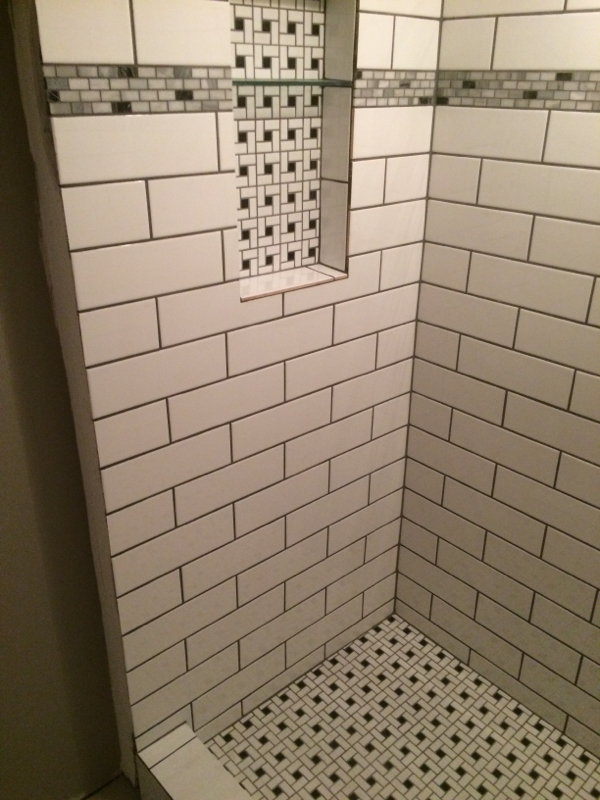 Bathroom tile is now installed! 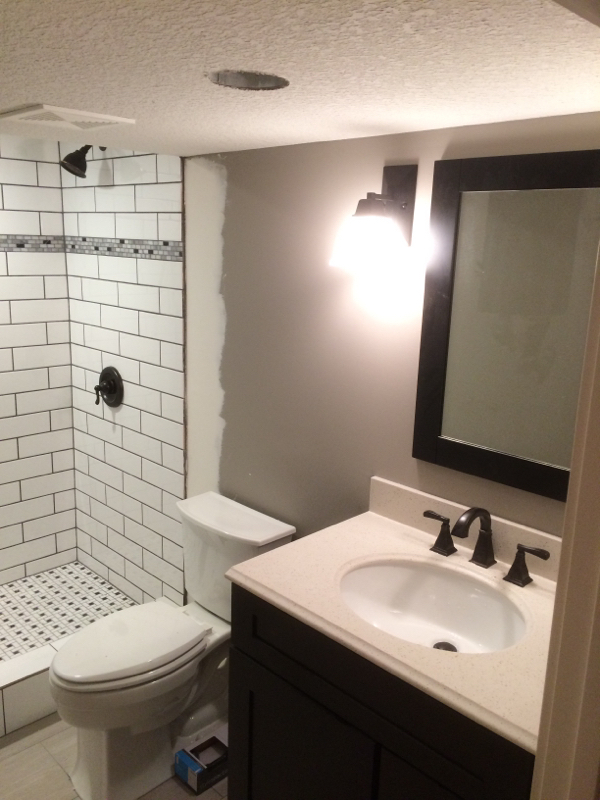 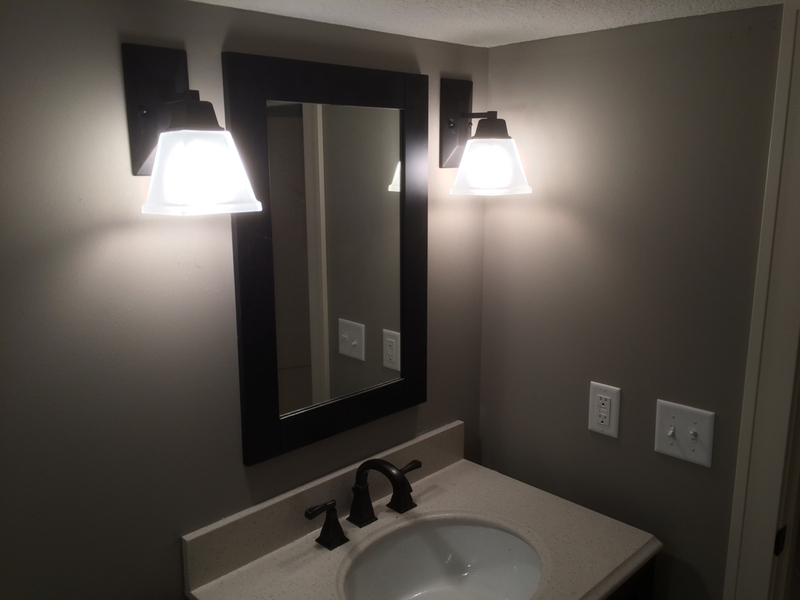 We had an accent tile installed to break up the all white wall tile. 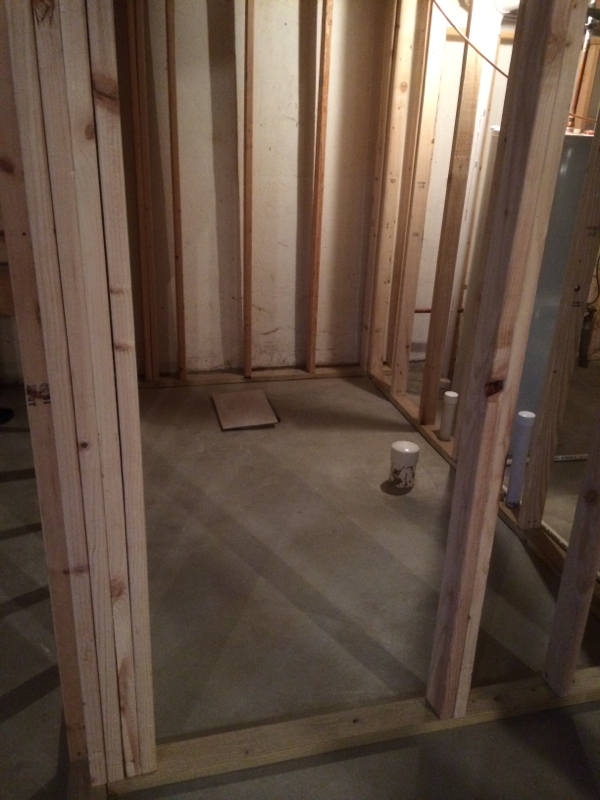 The bathroom tile is going in next. 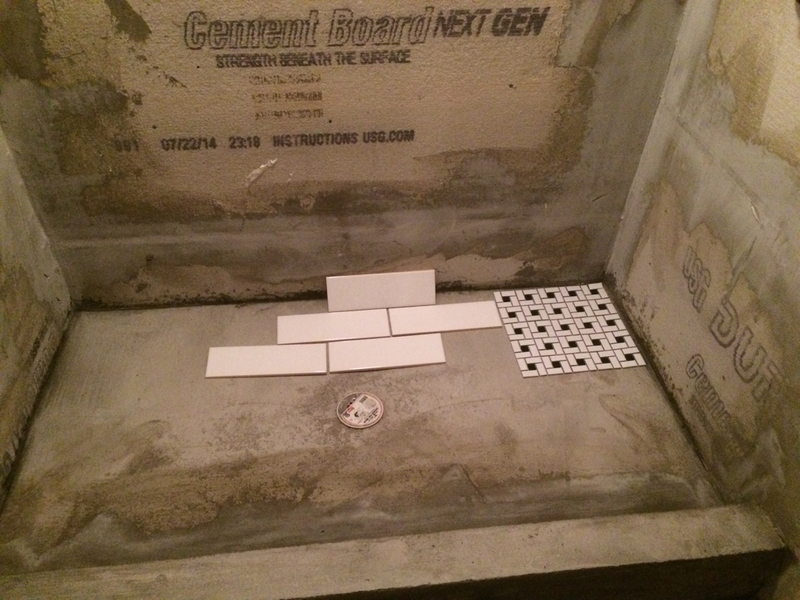 We are using a brick pattern with our tile. 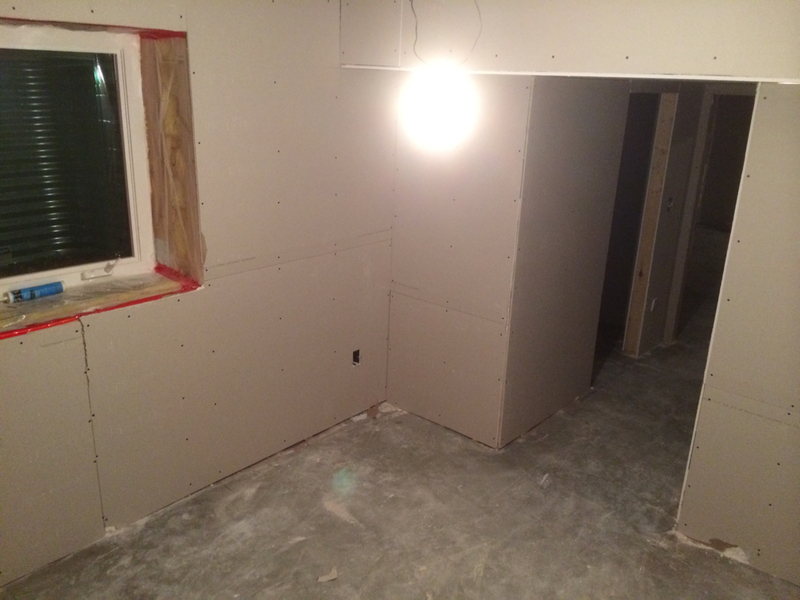 Sheet rock has been installed and they did the first round of taping compound on the wall Friday. 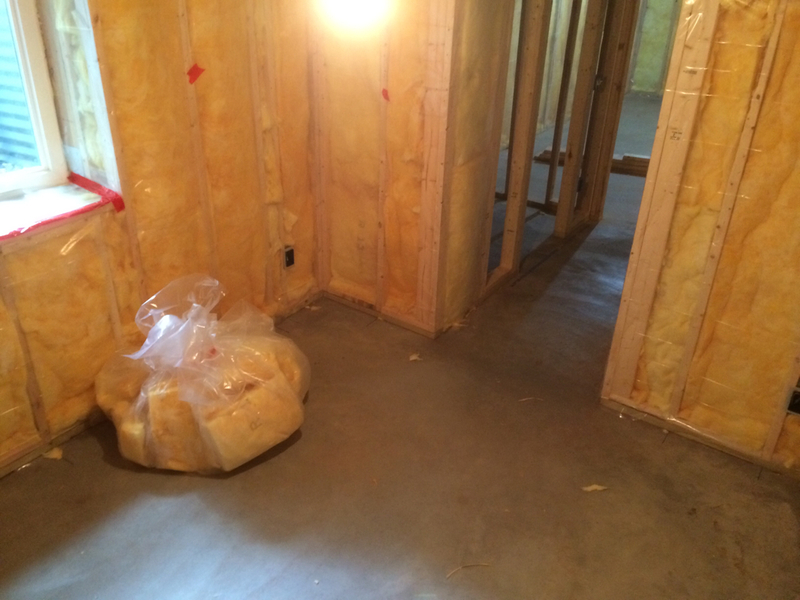 HVAC, electrical, and plumbing inspection passed so now the insulation and vapor barrier has been put in. 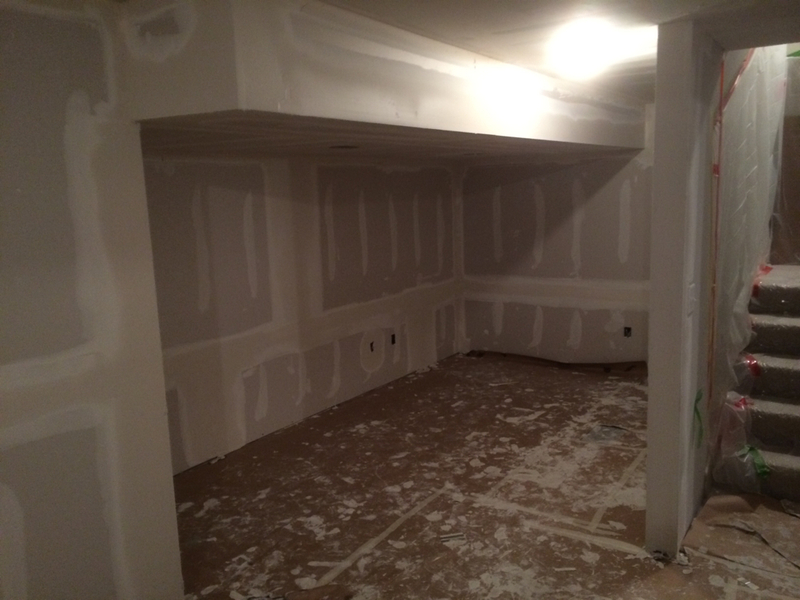 Starting to get a feel for the space and once the Sheetrock goes in we will really know just how it feels. 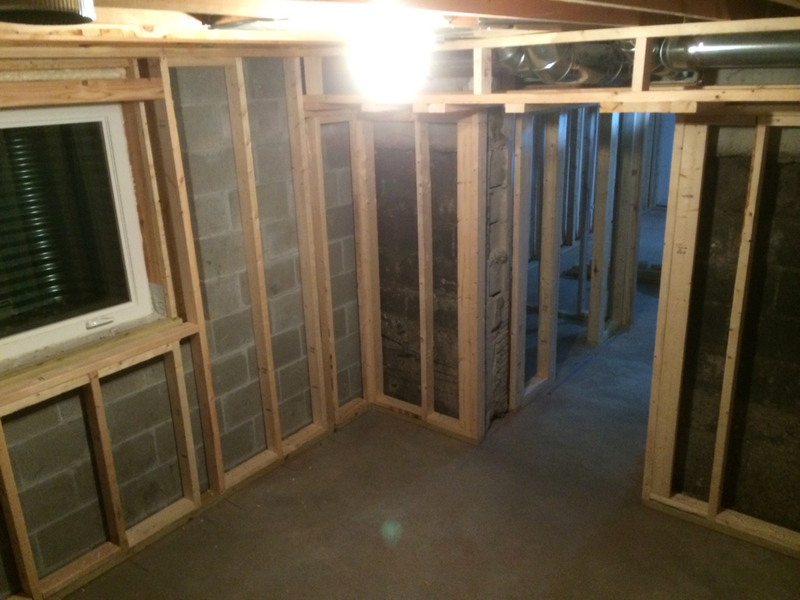 Framing of the basement is done. 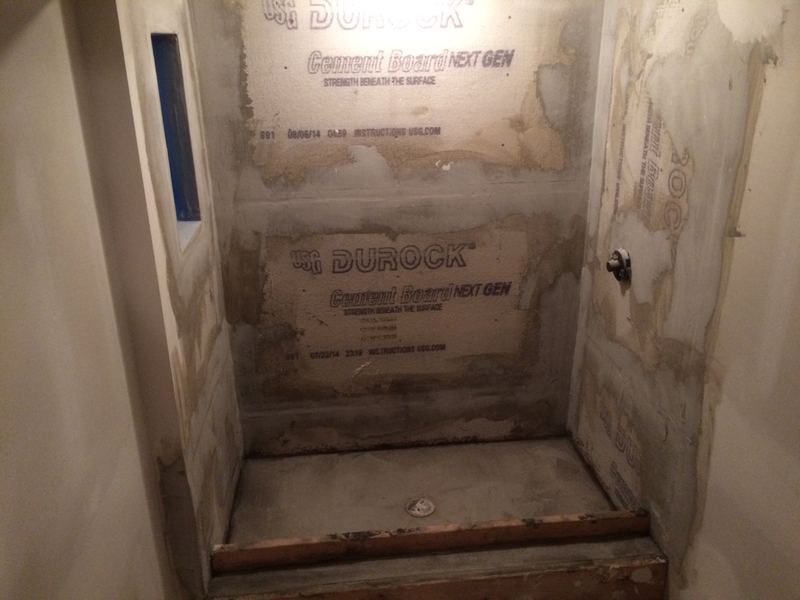 The ceiling is a little low but that&apos;s what you get with an older house. 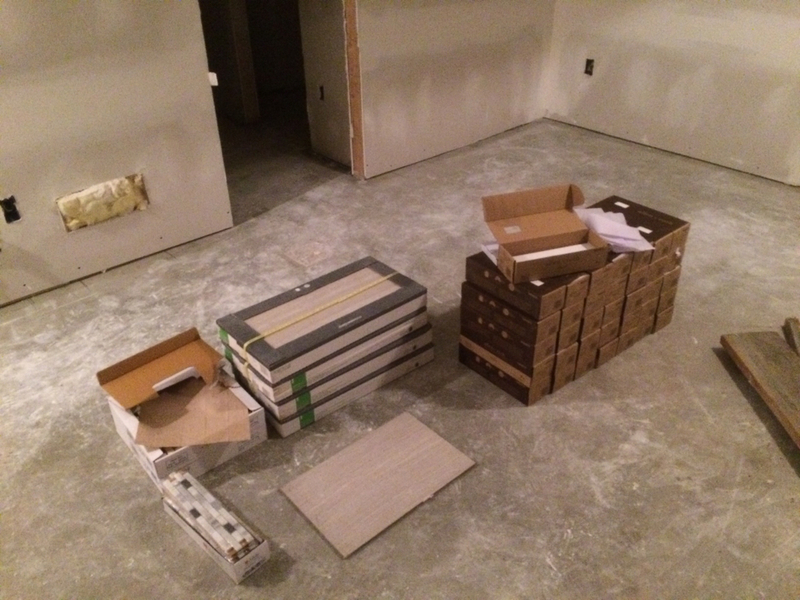 We needed to frame in areas of the ceiling for the heating and air conditioning ducts. 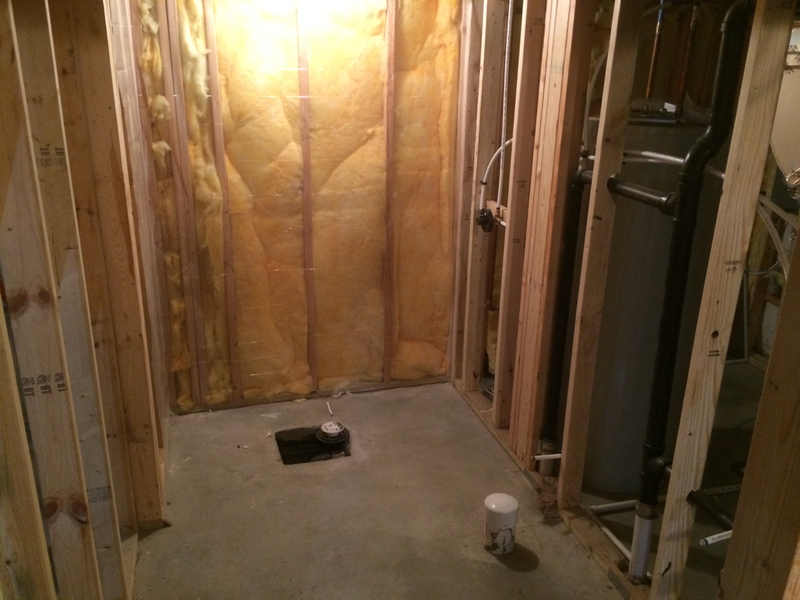 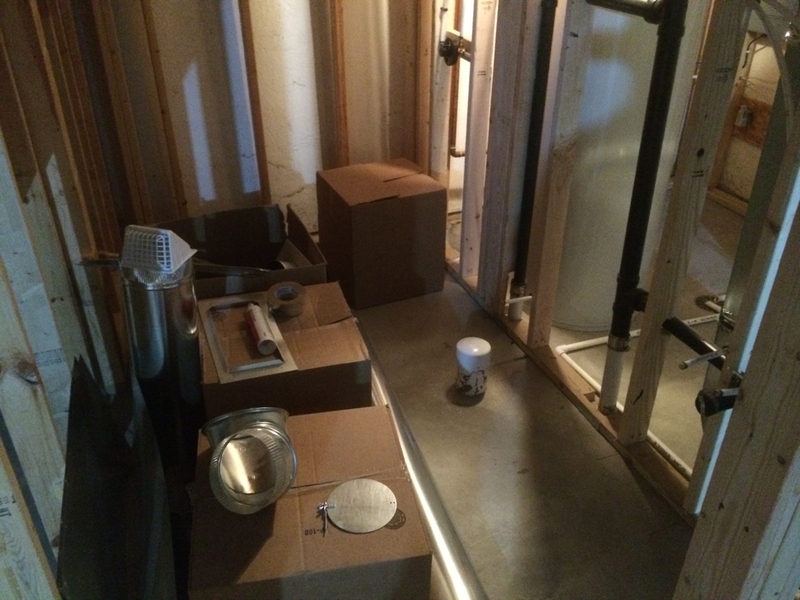 We also have the bathroom plumbing roughed in and electrical should be starting tomorrow. 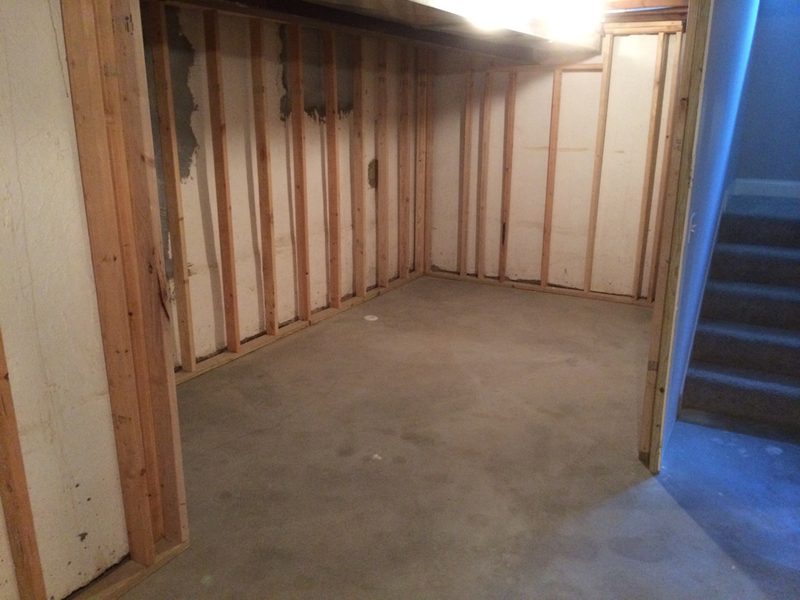 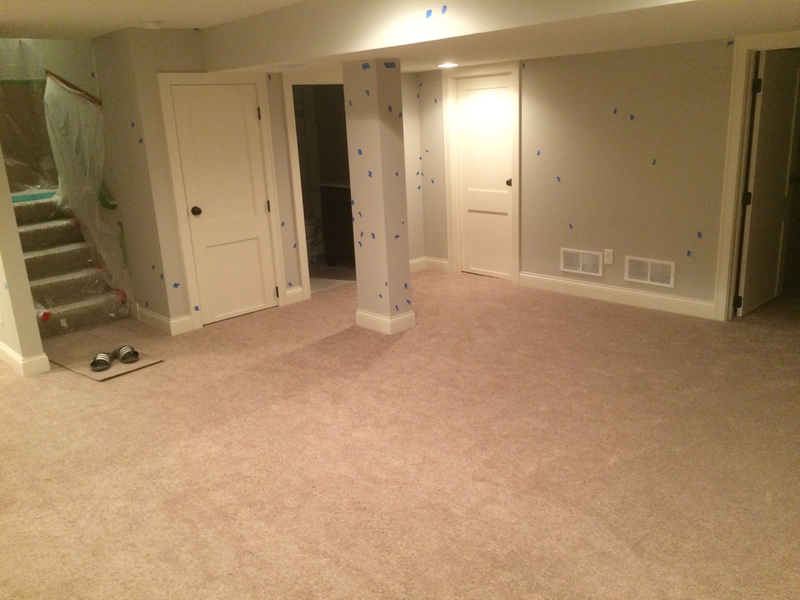 When we moved into the house last May, we did not finish the basement for a few reasons. 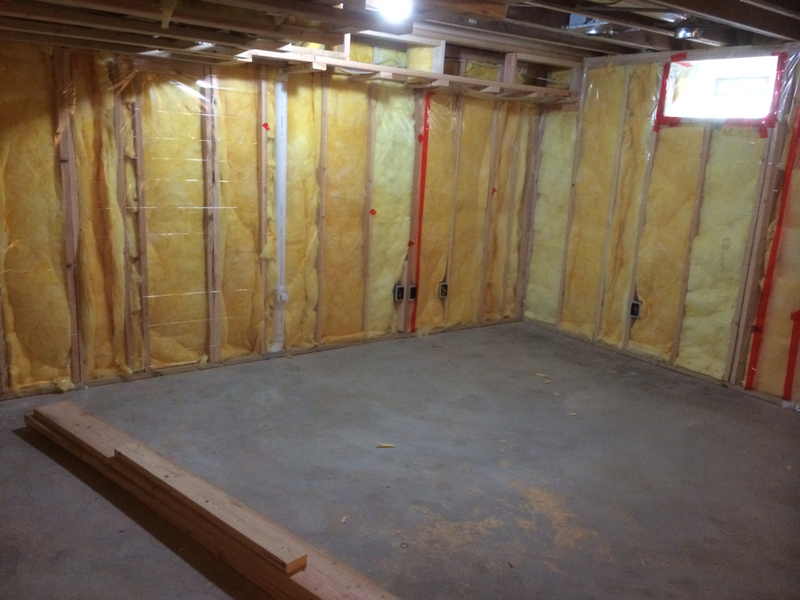 The primary reason was cost but we were also worried about going through a winter/spring with a foundation that we were not sure would allow water into the basement. 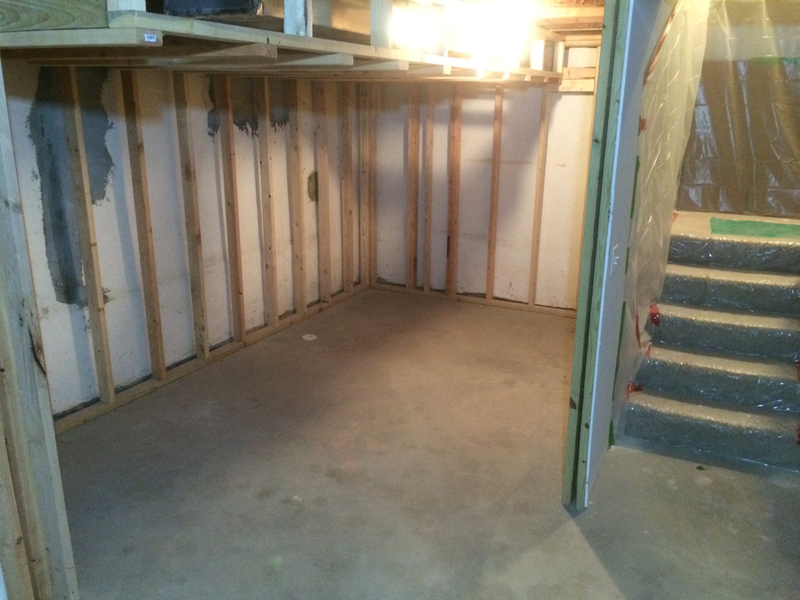 After enduring the record snow of winter and the record rainfalls of this spring, we are confident that our basement will stay dry. 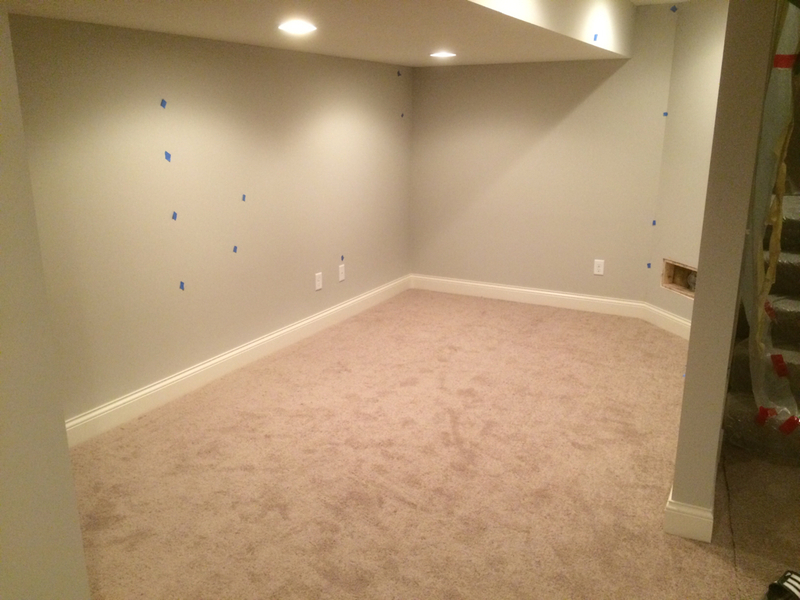 We will be finishing approximately 800 square feet of basement which includes a bedroom, bathroom, office area, and living room. 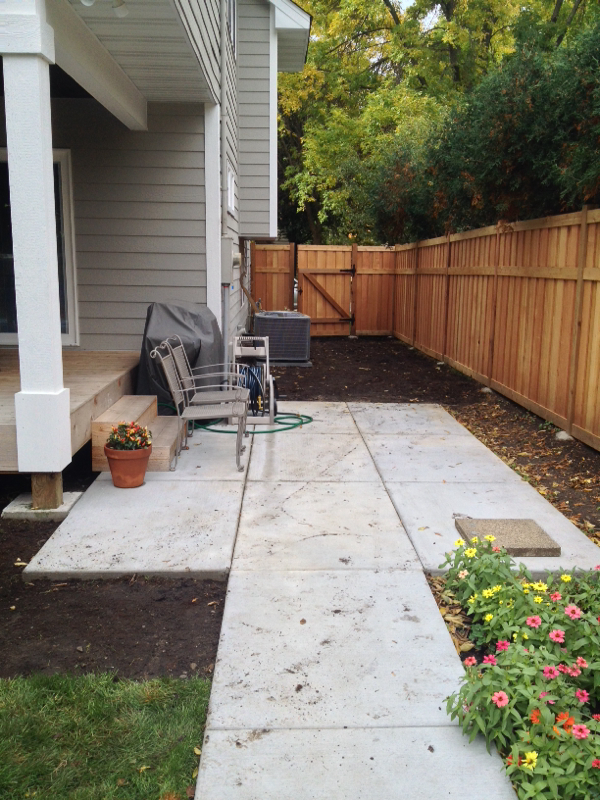 Landscaping is being put in today! 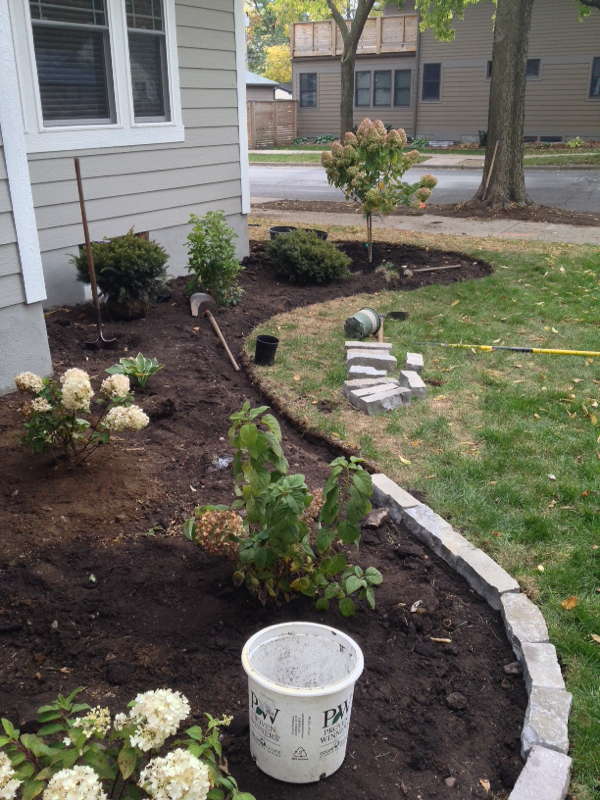 We are getting landscaping put in today by Timberland Outdoor Services! 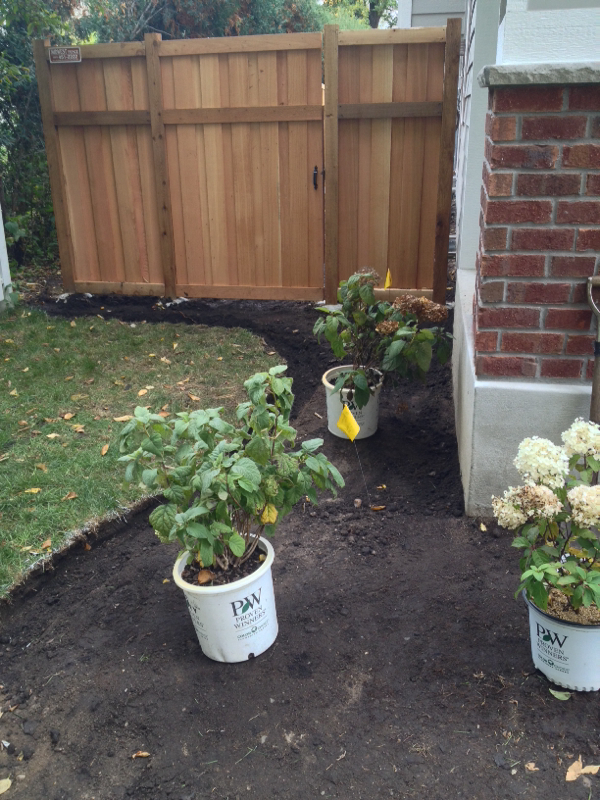 Very excited about the stone edgers and mulch that will be going in!